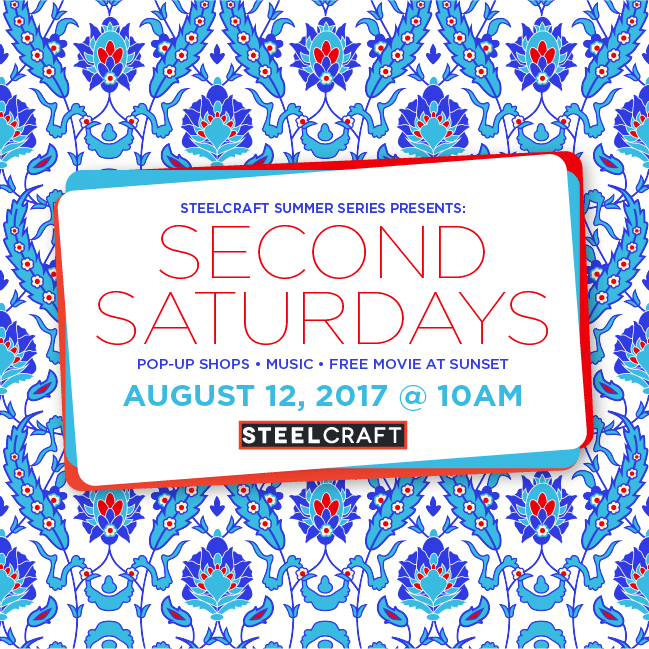 SteelCraft Second Saturdays August event this weekend! SteelCraft opened in February 2017. Not even six months ago. We are already on our third ever SteelCraft Second Saturdays event and close to 10k followers on Instagram. Time flies when you’re having fun! We just want to say THANK YOU for being a part of making SteelCraft a success. Every “like” on Instagram, email, comment on Facebook, review, and of course VISIT drives us to craft experiences you will remember. We have been overwhelmed with support to date and can’t wait to host another great SteelCraft Summer Series event for the community. Saturday’s event will include a pop-up shop with over a dozen vendors of all types and a DJ on site. Vendors will be set up from 10am-3pm with the fun continuing into the evening hours with live bluegrass music from 5-7pm and an outdoor movie screening at 8pm. This event is FREE to attend and children and pets are, as always, welcome. The Summer Series started in June and will close with our September event. To follow event updates, click on the dates below for the official Facebook events. Where does Second Saturdays take place? SteelCraft Second Saturdays take place at SteelCraft Long Beach, 3768 Long Beach Blvd., Long Beach, CA 90807 and in the surrounding parking lot. 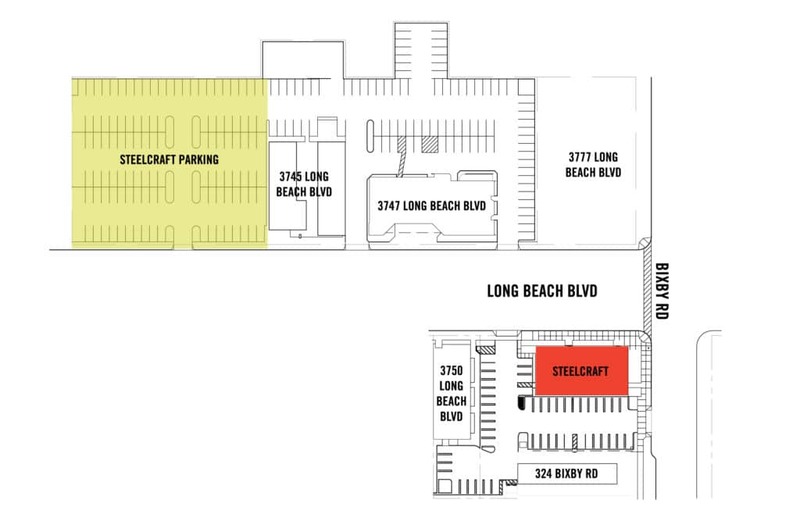 Since the surrounding lots will be closed for the duration of the event, parking will be in the lot adjacent to 3745 Long Beach Blvd. We also have bike racks for those who choose to bike into the event. Do I need to bring anything for the movie? Please bring something comfy to sit on (a low-back chair, bean bag, blanket, etc.) and enjoy some snacks from our SteelCraft tenants! Who are the pop-up vendors? Interested in becoming a vendor for a future event? Submit an inquiry on our contact page. Follow along on our Facebook, Instagram and Twitter for updates.